Wiltz’s careers as mystery writer and TV documentarian influence this sociology-heavy novel, first published in 1994, which was inspired by the shooting of a New Orleans policeman in 1980, and its racially charged aftermath. 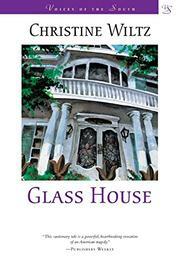 A reluctant southerner, Wiltz’s female protagonist returns to her native New Orleans when she inherits a family home. But the uneasily integrated city disturbs her greatly, and the liberal-minded woman finds herself mired in fear and tension. Kirkus found the plot-driven narrative “gripping” and “thought-provoking,” without being “pedantic.” A message-novel of sorts, we thought its delivery was “fair,” and that Wiltz was “a calm, quiet voice that deserves to be heard.” No doubt, it still does.